today its gloomy, the sun missed its clearness and brilliance. i still in the wildering of new bonus from my superficial employer, QRRS, totally amounted to ￥7060 around the lunar new year, including yesterday's ￥200. with it i already purchased a notebook and a FujiFilm camera, both let me felt completed. this time i will buy myself a pare of shoes. its just too in time, exactly yesterday i found my old shoe on right foot, offered by the grandma of my baby several years ago, leaking on the outer side. i never budgeted for a new shoes, but now i know my girl, zhou, urged me to replace it with hers'. God, u know how i want a life with my bride and pride, girl zhou, at once, right this time. i had waited for it too long. the only compensation, my baby son and my God, grows sound and fit, i just too thirsty for beauty in ur universe. today its a high sensitive day. dirties around me restlessly attempted to challenge me, or ignite me to avoid them. the place of my office has turned into a rubbish bin or waste underground. i saw their corps before i can see their ghosts. God let me see the passing and the dead. today also a day for mourning, a day of grief. sins around gathered and desperate. my baby son bleeding in his nose last night and today still a bit stuffed, and i constantly felt lacking interests to accompany him to play pc games as usual. and i also felt hatred from folks in my home town, upon my innocent acquaintance. quite some young men there lost balance and hast to leave school to make money remote in south China. the labor market in nowadays China just too perished. i see these transit no bliss. 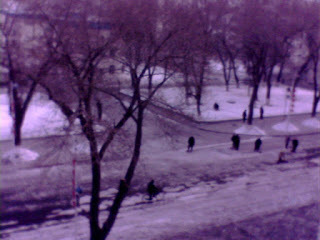 its a pale day, and the road still icy even the dirty remnant of snow melting. i again went without my new camera in hand for lack of incentive. i deeply love to post every blog entry with a picture in it. i love seeing. ok, bye now. 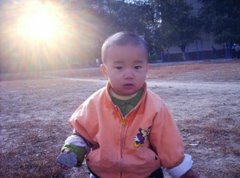 i wrote here for appeal to my girl, zhou, for her gifts, and sympathy to her need to live a famiy with me with our babies. we at least have a son and a daughter. u r sure in seasons, and live in pendent upon me, ur man and husband. i hope God not let it too painful nor let it lasting too long. missing u in heaven. even in dark winter and dry northeastern China, bliss no less upon US. out of curtained chase, covert inflicting adversity. rattling rats from PRC surveillance. countless sworn in, inc new chromebox 3 into zhone enlist. lair of pests jammed my way.